note - I noticed that this happens when you zoom out to something like 80%, it's how I view all sites in general. If this is not a problem maybe the ticket can be closed, though I believe the css there can be improved. Since this ticket was made, the Plugin Directory theme was revamped and open sourced. 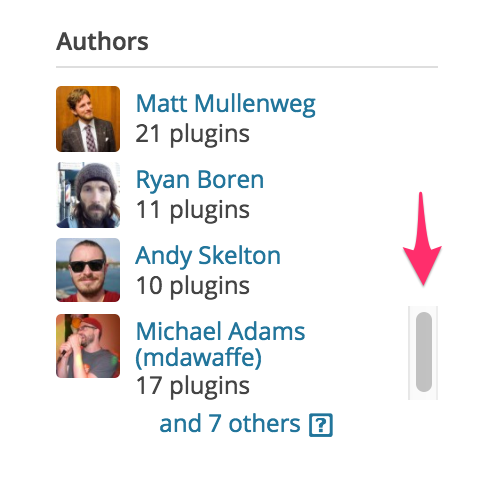 This "Authors" widget is no longer present in this fashion and as such this is no longer an issue.